In Major League Baseball, the Chicago Cubs and St. Louis Cardinals have a famous rivalry that dates back over a hundred years. A new chapter began on October 9th when the Cubs faced St. Louis to play games one and two of the National League Division Series. Our Chicago crew was at the game as a part of the TBS Broadcast team as the ENG crew. 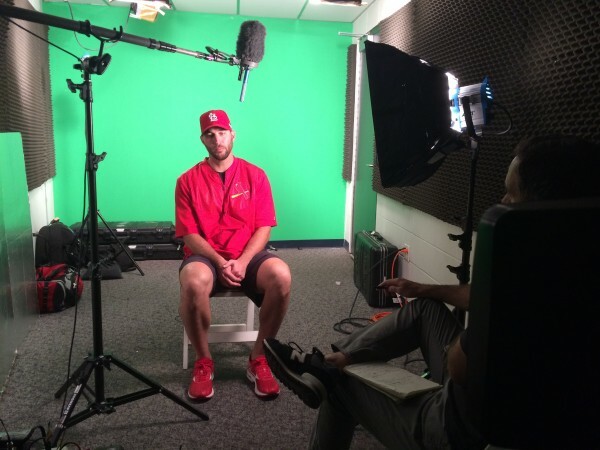 They spent the weekend shooting green screen interviews with top players from both teams, gathering B-Roll, filming fan reactions, and taking scenic shots around Busch Stadium. Each night our crew was always racing against the clock. They would run around the stadium shooting as much footage as they could before hurrying back to the production truck and working the footage tapes into the live, national broadcast of the game. 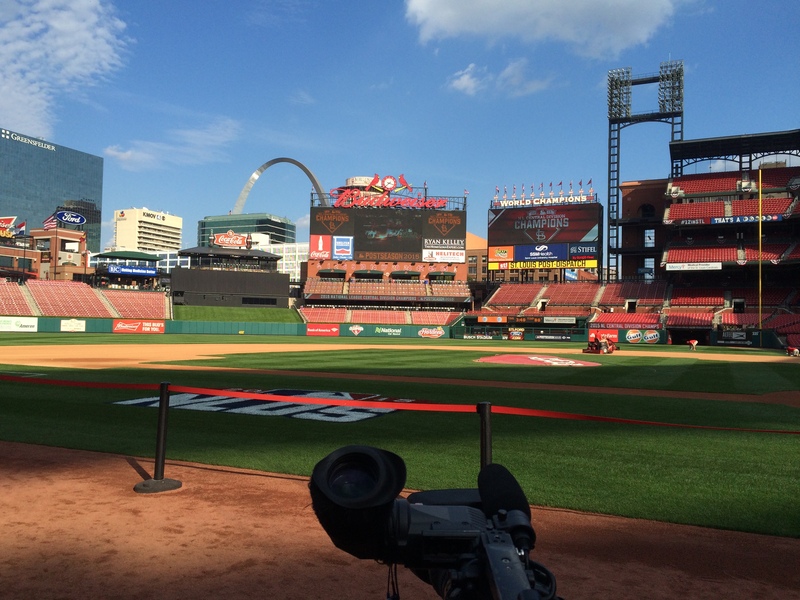 Busch Stadium – home of the St. Louis Cardinals. Our crew is used to filming feature stories where they have time to go back and edit the footage. But for this shoot they were on a firm deadline and all of the footage went immediately to live television – there was no time for editing. They had to pay close attention to properly exposing the shoot while keeping colors in balance. They also focused on getting a large variety of footage rather than taking multiple shots of the same content. The reason behind this was because the technicians in the truck were pressed for time and were not able to sort through identical shots before choosing one to air. 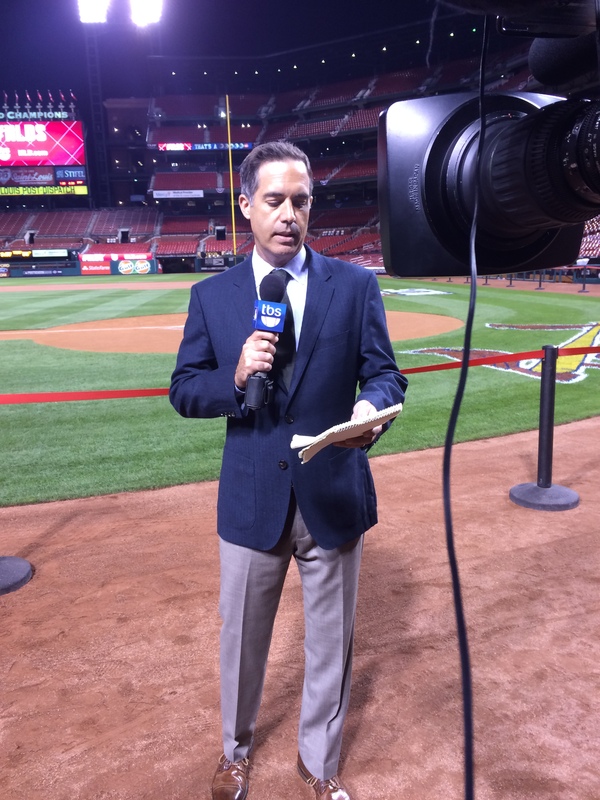 At the end of each game, our crew shot a quick post-game recap with TBS Reporter, Matt Winer. Our Chicago crew grew up as baseball fans so they enjoyed getting to go behind the scenes and be a part of putting the games on T.V.